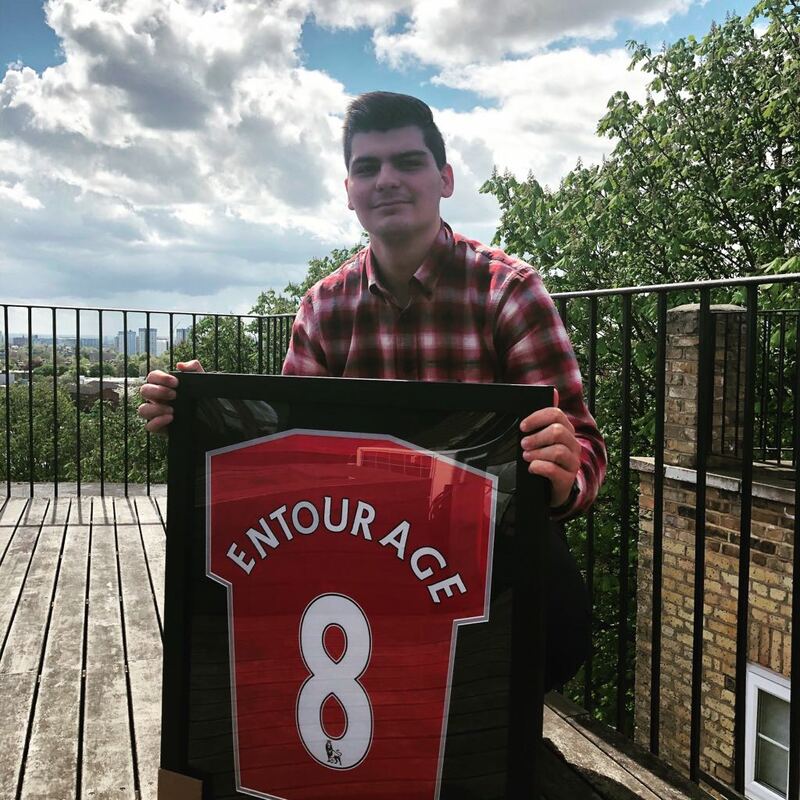 My internship at Entourage Sports & Entertainment in London started officially the first week of March 2018. Entourage is one of the top commercial agencies in sport and especially in football. The agency represents exclusively players like Roberto Carlos or Gilberto Silva, works with others such as Messi, Ronaldinho, or Thierry Henry, and is involved in some major sports deals with brands for big events like the 2018 FIFA World Cup in Russia. Entourage is also developing another field which is the representation of active players (mainly from Latin America) dealing with the management of their careers and relations with clubs. Before starting my internship, Kristian Dobrev, partnerships director at The FBA, connected me with Paul Brighten, CEO of Entourage. After talks with Paul and afterwards his business partner Mark Cowan, they gave me the opportunity to work with them in London as a Legal Advisor and Account Executive as part of module 3 of The FBA Professional Master. 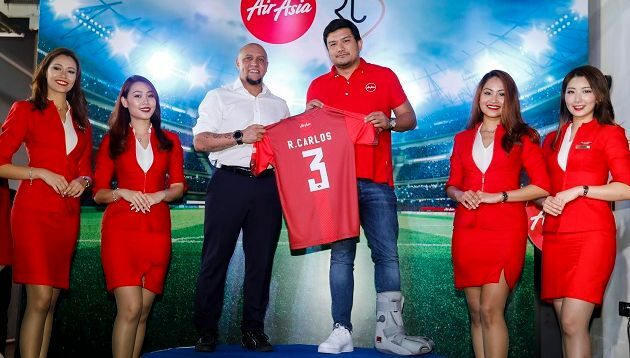 Entourage client Roberto Carlos becomes Global Ambassador for AirAsia. Entourage gave me this opportunity in order to use the skills and competences I developed through a Law Degree, a Master in Business Law, my experience in business development, the knowledge of the different fields of the football industry with the different courses and lectures of the FBA Master and more importantly my deep passion for sport and especially football. I immediately considered this opportunity as a means to show my skills and my determination to succeed in football, to learn from deemed, experienced, and connected people of the industry in a central city for football and business that is London, and to continue to build my network in football. Leaving my hometown of Toulouse in France to come to London was really the beginning of a new adventure and I took it as an official start of my career in the industry. Professionally, discovering my new environment at Entourage has been a great experience. Indeed, I really liked the atmosphere since day one because we can feel a very “familial” atmosphere, with some fun, close relationships, but by keeping our focus on work and business. I feel that this atmosphere is really corresponding to me given the strong passion for sport and especially football, the ambition for growing, the hard work and doing business by keeping in mind some values. My responsibilities at Entourage are mainly taking care of the legal matters, such as drafting and reviewing representation contracts with players, clubs, commercial representation of legends of the game, or activities with global brands and other agencies. I also advise or do research on legal issues and regulations regarding football and/or business. Furthermore, I am doing lead sourcing with brands, taking care of the company’s social media pages, as well as speaking with different stakeholders – especially the French-speaking ones. Last, I also really enjoy being involved in the field of the player representation, by establishing reports on players, looking after or participating in negotiations with players, or contact with clubs. 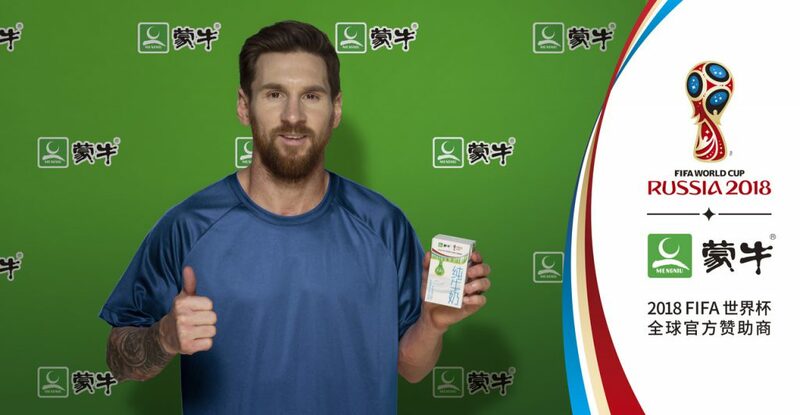 Entourage brokered the endorsement deal of Leo Messi with Chinese dairy brand Mengniu. As mentioned before, being in London allows me to increase my network significantly. I believe the first connections are with the people I am working closely with at Entourage like Paul Brighten and Mark Cowan who both have amazing contacts worldwide inside the football industry, but also with Michael Rocha-Keys who is in charge of mainly Asia and brands for the agency, and Alexandre Ferro, responsible for Latin America and mainly the players. I also had for example a very interesting meeting with Misha Sher who is the Worldwide Vice President, Sport and Entertainment, of MediaCom and Guest Lecturer at The FBA. I also met and had the chance to discuss with Gilberto Silva, World Cup and Copa America winner with Brazil, Arsenal’s Invincible, who is a legend of the game we are representing exclusively commercially. In summary, I met and will continue to meet important actors of the industry, as well as players or legends, in the days and weeks to come as part of my role at Entourage. As a football fan and now as an actor of the football industry, being in London gives me the added benefit of being able to attend to a lot of different matches in a lot of different stadiums. I’ve been to games of Arsenal (Emirates Stadium) and Chelsea (Stamford Bridge), but also for example some Championship games in Craven Cottage (Fulham FC) and Loftus Road (Queens Park Rangers). Overall, I am very happy about both my internship and the London life and I am sure that this amazing opportunity is just the beginning of something huge. Indeed, the doors of the football industry seem to be opening more and more to me every day thanks to the FBA Master and my internship here at Entourage. I am definitely ready to show my skills, to continue the hard work, to keep learning, to work with my lifetime passion for football by keeping in mind personal values and try to bring something new to the industry. Adrien Poujade is a Candidate of The FBA’s Professional Master in Football Business, expected to graduate in August 2018. He can be contacted via LinkedIn. Entourage Sports & Entertainment is an independent commercial sports agency with a diverse team specialising in sponsorship, endorsements and talent representation. They consult on the commercial interests of a vast number of rights holders, sporting organisations and international federations. For more information visit their website.